Living a Fit and Full Life: Power it All with myCharge's Portable Power Outlet! Power it All with myCharge's Portable Power Outlet! 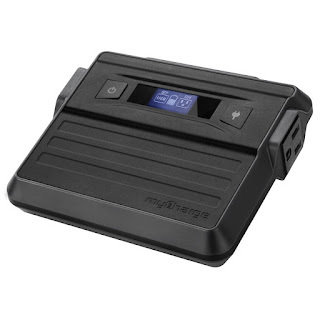 Power it all with myCharge's Portable Power Outlet! 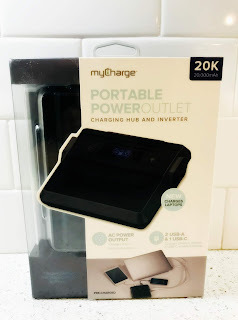 myCharge's Portable Power Outlet is a terrific product and with Valentine's Day coming up, it makes a terrific gift for him. It's perfect for tailgating, camping and so much more. It's designed to replace heavy and bulky generators and can run a 34-inch LED television for up to four hours. That right there, is amazing! It can also power a laptop and much, much more. It's the perfect gift for anyone who loves the outdoors, but also loves having the power they need to do the things they love!